On 10th October the new Master, Mike Parrett was duly installed at a Church Service in St Lawrence Jewry that was conducted by our Honorary Chaplain, Revd Cannon David Parrott, who was not afraid of underlining the similarity of their two surnames! Mike was first clothed as Master by the outgoing Master, who sought affirmation from him that he would undertake the Office with due reverence and commitment. Having been clothed Mike then installed Tony Ward as the Immediate Past Master, clothing him in his purple gown and he then charged his Wardens with the importance of their high office. David Sheehan was installed as Renter Warden. Mike then installed the newest Warden (CA Terry Withers) as Junior Warden. 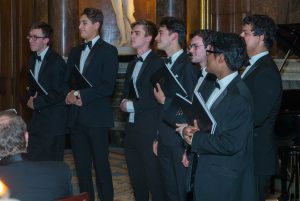 The Church Service underlined the importance of this annual occasion in the Constructors’ year and was attended by many Court Assistants and members of the Company, as well as some of the Company Guests and personal guests of the Master. The service was splendidly accompanied by Catherine Ennis, the organist of St Lawrence Jewry and the singing was led by the St Lawrence Jewry Choir. 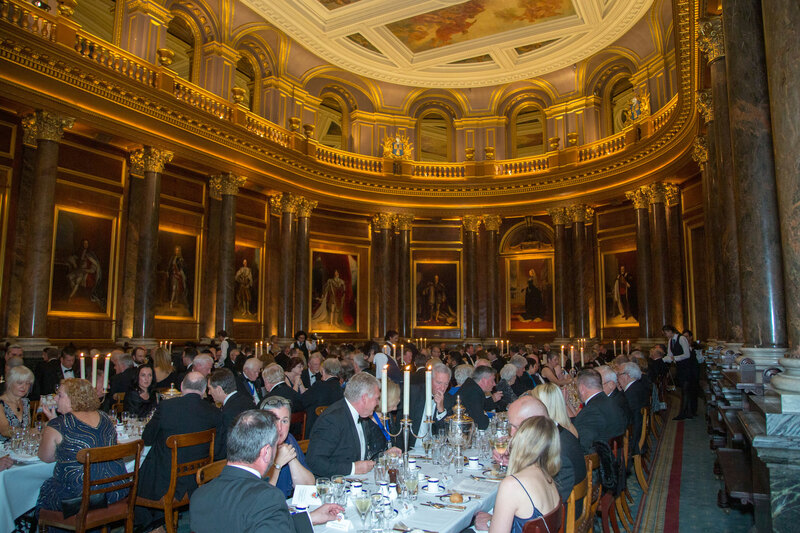 On completion of the church service the Master, Wardens and congregation made their way to Drapers’ Hall for the Installation Dinner. 180 people sat down to an excellent three course meal accompanied by wine and port, and all shared in the ancient Loving Cup ceremony. The Guests were welcomed by CA Henry Lamb. 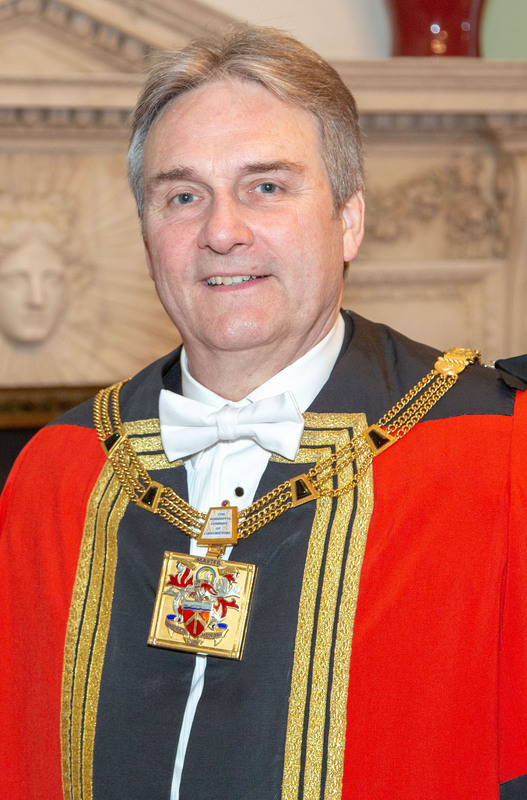 We were joined by several Masters of other Livery Companies and Keith Exford CBE, the Master’s Guest of Honour proposed the toast “The Worshipful Company of Constructors: May it flourish root and branch forever” twinned with the name of the Master. The Master then responded with his toast to the Guests. 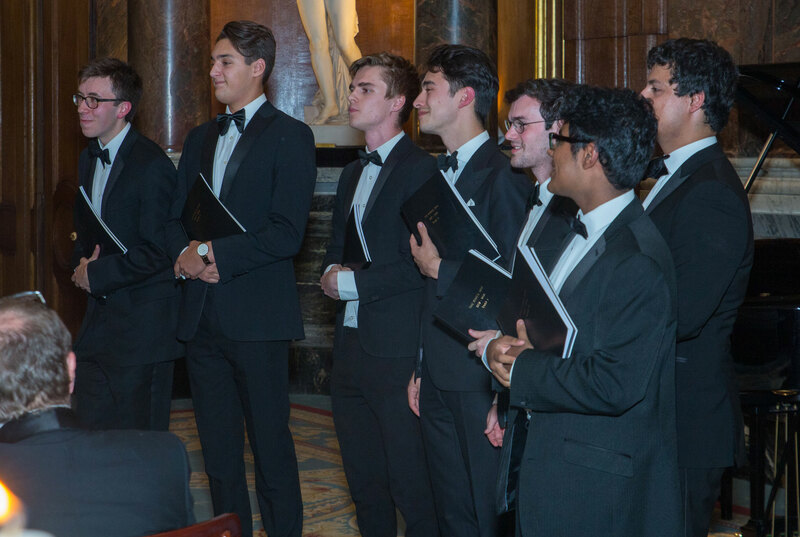 Musical entertainment was provided by Edward Dye (piano) and the Kings’ Men – 7 Choral Scholars from King’s College Cambridge, who cast off their routine ecclesiastical trappings to entertain us with their impressive modern close harmony repertoire.